Scheduling is a critical activity in modern shift-based workplaces – with impacts on labor cost, productivity, and even legal compliance. 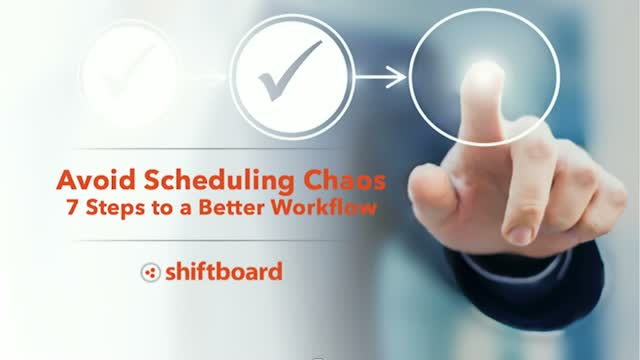 A chaotic scheduling process impacts worker satisfaction, absenteeism, and turnover. It also increases the likelihood of human error and makes last minute changes a nightmare. Learn how to establish a scheduling framework and how to develop a workflow that works well for your team. Organizations that manage a shift-based (and hourly) workforce must contend with complex scheduling rules including labor laws and labor agreements. With more states and even cities supplementing US Labor laws, it can be difficult to keep up with all the changes. Many of these laws impact overtime pay, required break periods, and employee rights around a more predictable schedule–which can significantly increase your labor costs. By understanding labor laws, you can create better employee schedules, reduce overtime, and ensure compliance. We will also provide some practical examples to help you understand the complexity of California, Washington, Seattle, and San Francisco labor laws. These same examples are often found in collective bargaining agreements (CBAs). Dorothy Pults recently completed a significant research project on US and International Labor Laws and GDPR compliance implications for scheduling shift-based (hourly) workforce. Dorothy has held leadership roles in engineering, product management and product marketing at fast growing companies including EMC, Limelight Networks and F5 Networks drive record customer growth and is recognized for her work aligning products to meet the unique needs of customers. Discover how your organization can avoid costly overtime by leveraging historical data to ensure you are better prepared for changes in labor demand. -How to leverage the framework to create optimized workforce schedules. -Industry examples to give you actionable insights aligned to your particular business. Learn how a better scheduling framework creates a better workflow and leads to better outcomes. Scheduling is a critical activity in modern shift-based workplaces – with impacts on labor cost, productivity, and even legal compliance. A chaotic scheduling process impacts worker satisfaction, absenteeism, and turnover. It also increases the likelihood for human error and makes last minute changes very disruptive. The schedule is at the center of life for many organizations. Who needs to be where and when is the foundational construct of running a business. And particularly in organizations with large amounts of hourly staff, or multiple shifts, making sure people show up as needed can be the difference between productivity and standstill. In today’s world, simply executing an accurate and effective schedule is not enough. Scheduling has become a strategic element of the employer employee relationship, and a key translation point between business strategy and execution. By using tools to make the scheduling process more manageable for administrators, more interactive for employees, and more informative for the business, organizations can leverage the time and investment it takes to create schedules to deliver value far beyond the tactical. Join Mollie Lombardi, Co-founder of Aptitude Research Partners, she explores the impact of automation integration mobile tools in the consumerization of technology are impacting not only how organizations create schedules in all environments from simple to highly complex and regulated, but the user experience for both employees and executives. Highly configurable, cloud-based automation technologies are disrupting the staffing industry as more executives turn to scheduling automation to improve operational efficiency, drive higher value, and grow their business in transformative ways. Whether your organization is in the beginning stages of research, or you’re ready to join other industry leaders championing the movement toward automation, this webinar provides you with impact statistics and the customer experience data you need to better understand how scheduling automation tackles staffing challenges head-on, across multiple fronts. Register for the webinar today! For organizations built around hourly workers, scheduling is at the core of day-to-day operations. If you are not using scheduling automation technology, you are missing a huge opportunity to optimize hourly workforce operations. Learn about the business benefits of scheduling automation including lower labor costs, streamlined operations, and increased employee satisfaction. Register today for the webinar, complete with a live audience Q&A. Every event has unique communication and staffing requirements. From vendors, staging, security, food service, volunteers, staff – coordinating people and schedules is deceivingly complex. Large events are a logistical challenge that requires the participation of hundreds, and sometimes thousands, of individuals. How can you reduce human error? How can you improve staff or volunteer communication and onboarding? How can you reduce the chaos of last-minute logistical updates, and “game day” communications? Benefit from insights we’ve gained through working with hundreds of large event clients including Burning Man, SXSW, and SIFF. This previously recorded webinar is available on demand. The schedule is at the center of life for many organizations. Who needs to be where and when is the foundational construct of running a business. And particularly in organizations with large amounts of hourly staff, or multiple shifts, making sure people show up as needed can be the difference between productivity and standstill. Join us for quarterly informative webinars for organizations that want to deliver value far beyond the tactical schedule.